This . . . is . . . JEOPARDY! As a young man, Andrew Rostan spent some of his happiest moments watching JEOPARDY! with his grandfather. Early on, he was ready for Daily Doubles and the iconic buzzer. But now at the age of twenty-two, Andrew’s an actual contestant on the show, and realizes that while he may be ready to meet the host Alex Trebek, he’s not prepared for what comes with starring on one of the most beloved game shows in television history. While Andrew is excellent at remembering facts, he’s also able to recall the memories he associates with those facts—memories of deaths in the family and extraordinary people—and recognize a life lived one step removed from the rest of humanity. A life he’s ready to change. Andrew discovers that existence is like JEOPARDY! and all the answers are staring you in the face if only you ask the right questions. 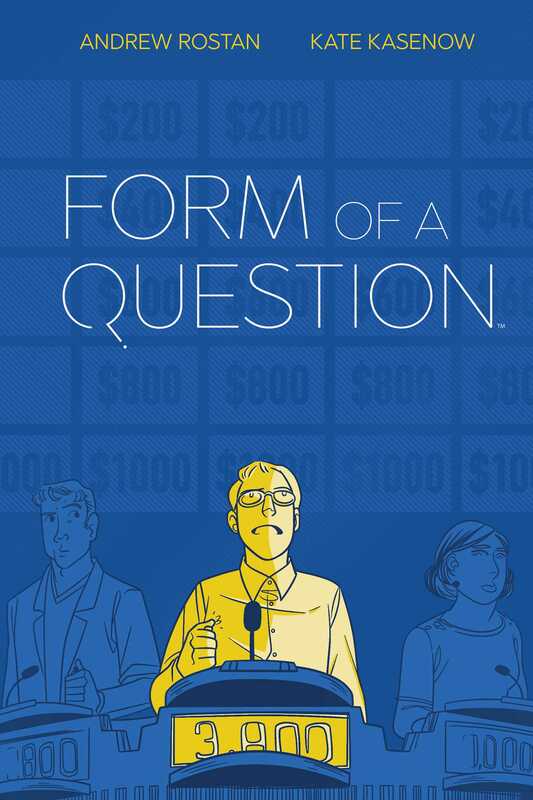 In his moving memoir, Rostan, along with illustrator Kate Kasenow, revisits one of the most formative moments in his life and reveals how a chance opportunity to appear on a game show taught him much more about living than he knew he needed . . .